You can help maintain the project by using the Download Modpack Now Adfly Donate link below. Just click the link above (you will go to an advertisement site) wait 5 seconds and click the skip button in the upper right corner and your download will start. Have a mod request to be added? When I looked at the current modpack installers, they all look the same: in size, in UI, and were all made with the inno setup creator. Many describe these installers as “clunky and slow”. Trying to get that perfect mod setup can sometimes take hours. Have you ever had a “modpack setup night”? 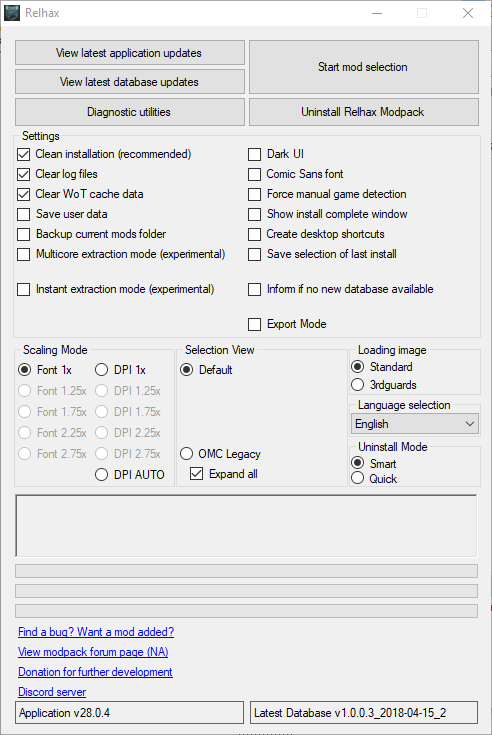 The goal of this project is to redefine what a modpack installer is, from the templace UI to the install engine. Instead of using inno setup, I decided to create my own install engine from scratch in Microsoft’s C# programming language. 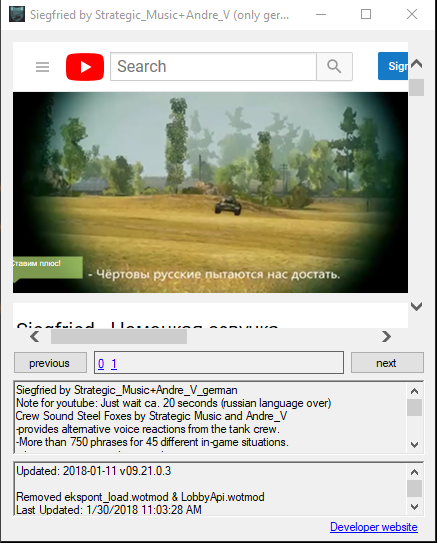 Some of the UI features in this modpack are new(tab category view), and some are kept in line with previous modpacks (right click to preview). 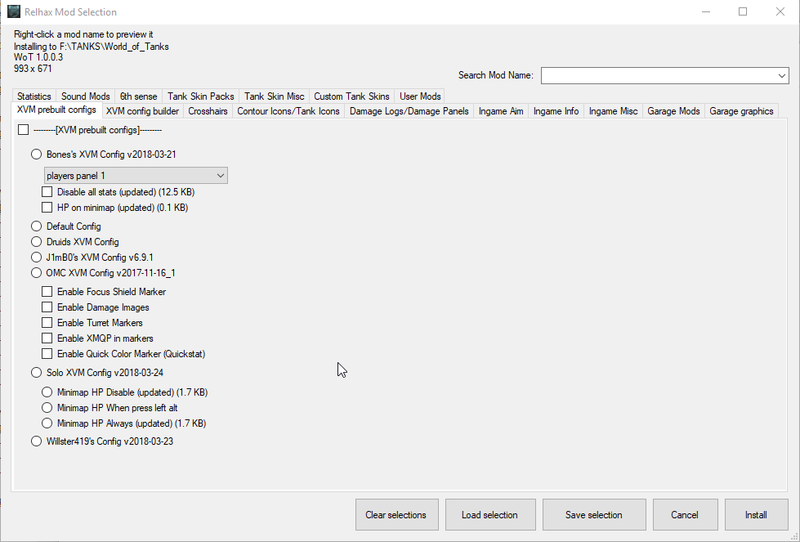 Modpack Features – Why would you use this modpack over an inno setup template modpack? For the first time in modpack history (as far as I know), there is a search feature where you can search for “that one mod” you want. The preview window is web-based, meaning you hard drive won’t become cluttered with cached pictures. The modpack and be set at command line with a “/auto-install config_file_name.xml” switch to automatically install the modpack, with your preference of mods selected. 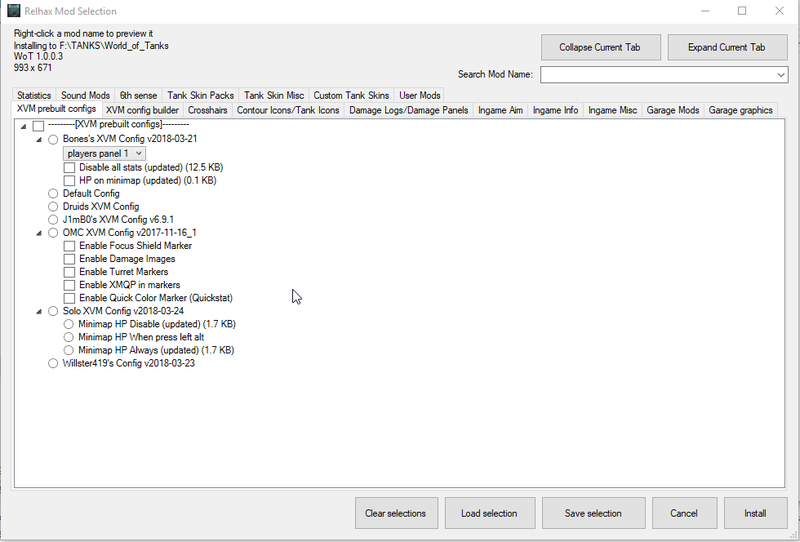 In this situation, you could install without any interaction, and update all your mods in a few seconds. I am in contact with WarGaming about the modifications (mods) and their configurations (configs) to ensure that they are legal and allowed in the game. There are no “Hacks” or illegal mods in the modpack, the name is used for artistic license. 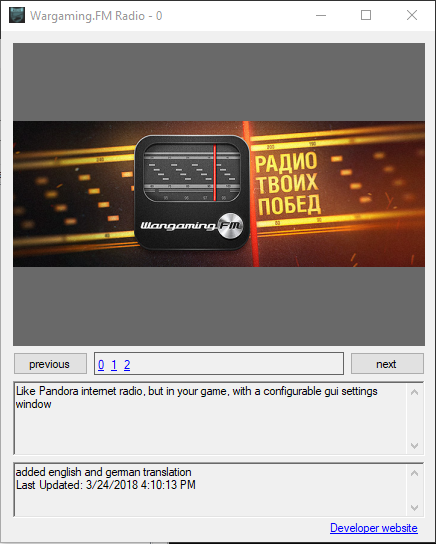 This modpack complies with WG’s fair play policy. We try to keep up to date as much as we can with their policy, but this is by no means an official guarantee.